Each of Skunk2’s Pro Series Intake Manifolds feature larger plenums and shorter, oversized runners when compared to the RBC, and are cast with thicker wall material, leaving room for further porting for high-horsepower applications. 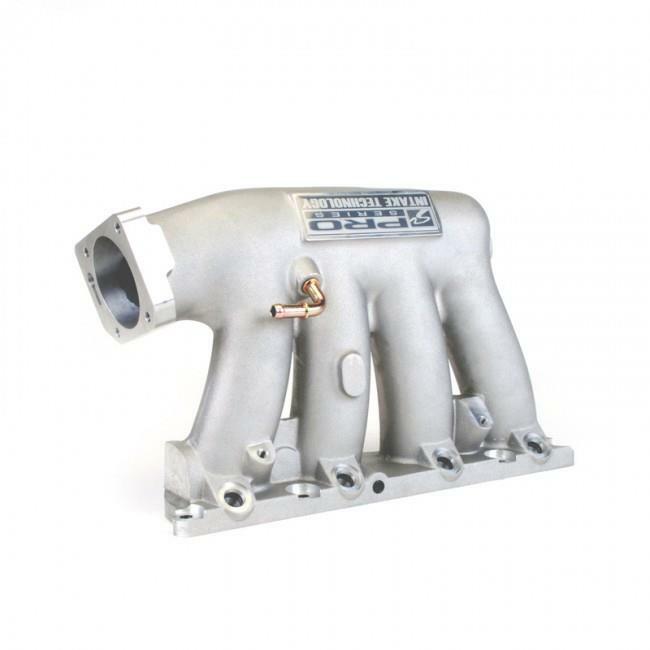 Instead of producing a manifold with a significantly oversized plenum and excessively short runners that would sacrifice mid-range power, Pro Series manifolds were designed for the “street enthusiast” who wants more power but doesn’t want to sacrifice mid-range performance to get it. The results are improved airflow, an enhanced venturi effect, and both mid-range and top-end power gains. Pro Series Intake Manifolds offer horsepower and torque gains greater than the popular RBC manifold but without compromising mid-range power output. The design incorporates runners that are similar in length to the RBC’s but with larger bores, a special tapered design, as well as a larger, tapered plenum that together preserve mid-range power but increase and accelerate airflow to allow for significant top-end power gains. Pro Series Intake Manifold runner exits are also machined and hand-finished to best match the cylinder head’s ports. Skunk2’s Pro Series Intake Manifold’s shape and design also increases wave scavenging effects at the engine’s ideal operating range, which allow for a broad increase in usable power. Skunk2 is a familiar name in the intake manifold business, with more than 10 years of experience designing, testing, and building them. Similar to OEM manifolds, Skunk2’s Pro Series Intake Manifolds are shell-molded from 356-aluminum, CNC-machined for superior strength, a precise fit, and a high-quality finish, and vacuum-tested for quality. 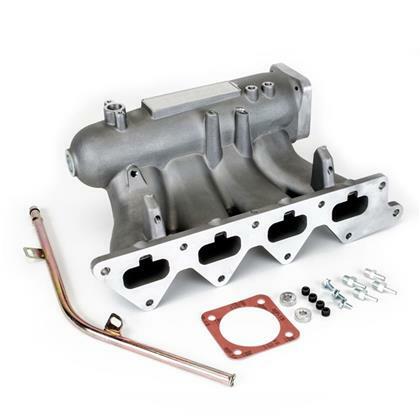 Each manifold is molded with smooth transitions from the throttle body opening to the plenum to the runners with clean parting lines for an optimal finish, both inside and out and features a genuine Skunk2 nameplate.